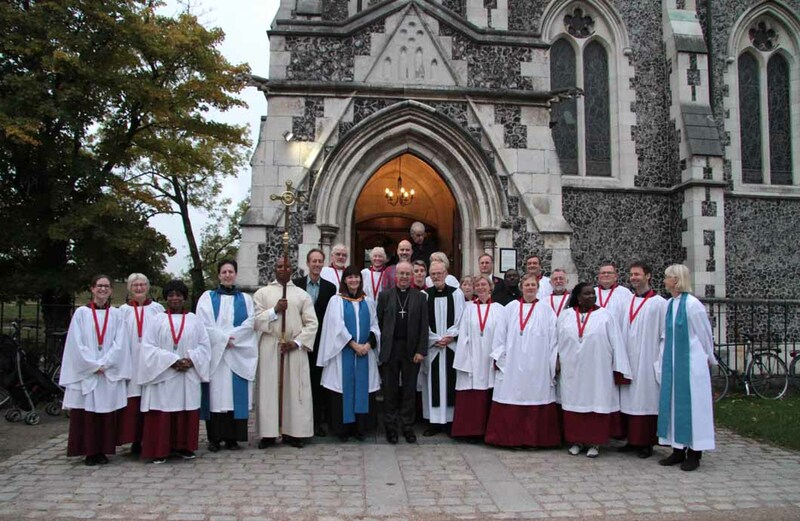 As part of the Porvoo Primates meeting and Porvoo Contact Group in Copenhagen, an evensong service was held at St. Albans at 17:00 on Friday 13th October. 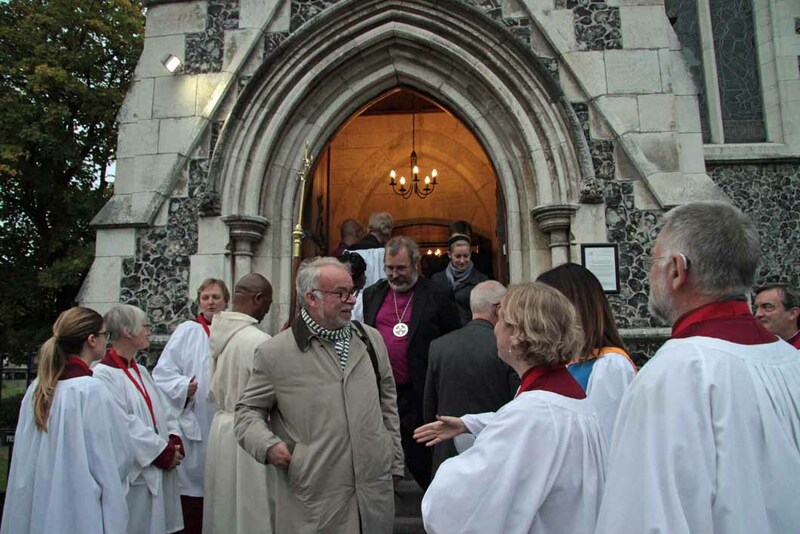 The service was well attended by the people attending the meeting and many people from the St. Albans congregation. 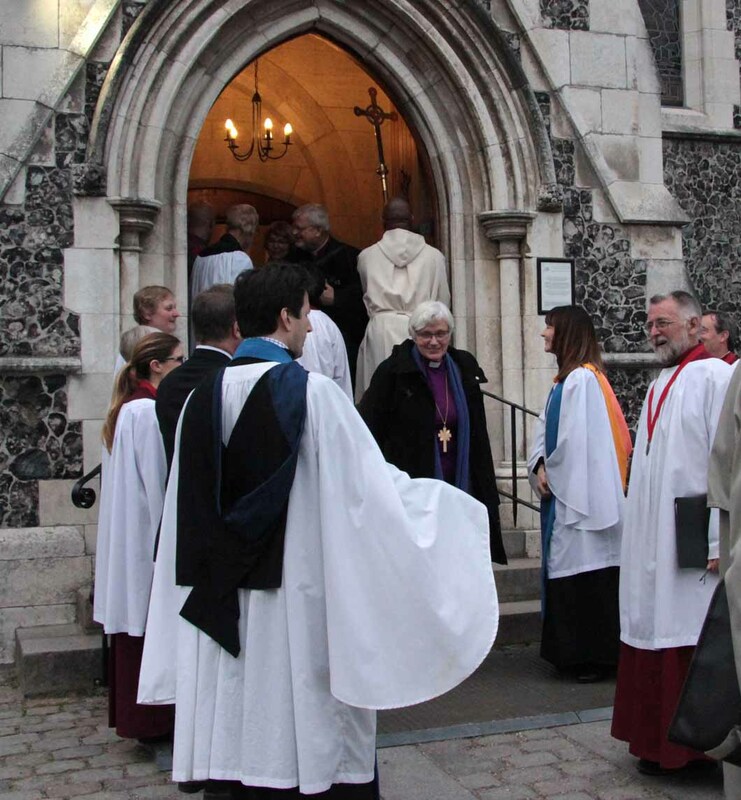 The service was led by Revd Palle Thordal, Deacon Christophe Ndikuriyo, and Licensed Readers Victoria Wadsworth-Hansen, Ursula Sonnewald and Graeme Lloyd-Roberts. 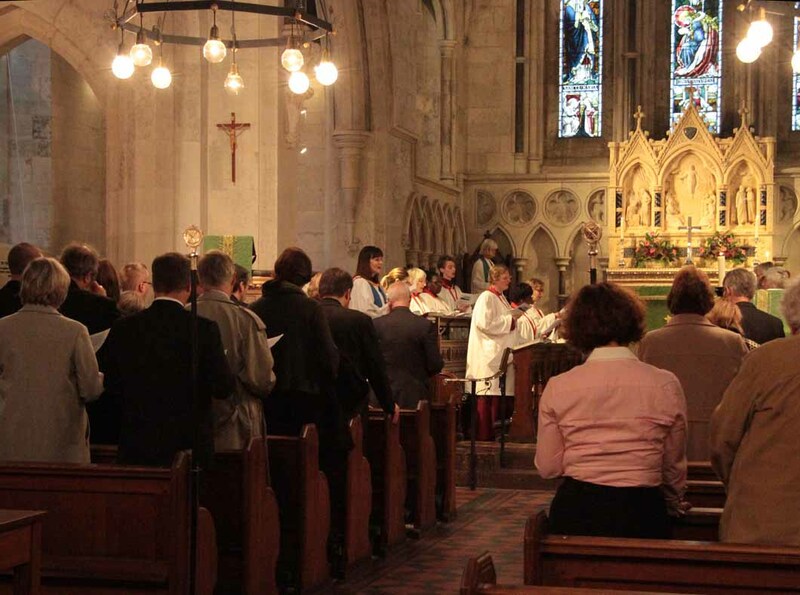 The choir in full strength provided wonderful musical support for the service. 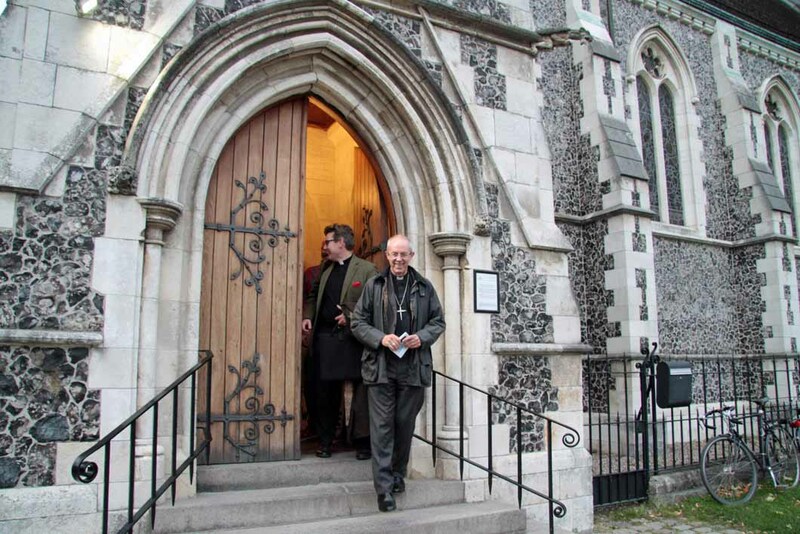 There was time for some photographs to record the visit of Archbishop Justin Welby after the service. 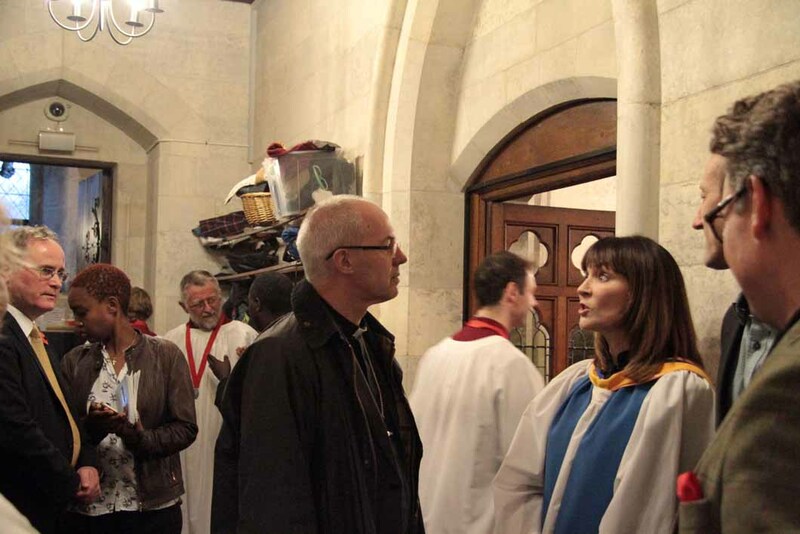 Victoria, Nigel, Palle, Archbishop Justin Welby and Graeme. More infrormation about the Porvoo Communion can be found at the Porvoo Communion website. 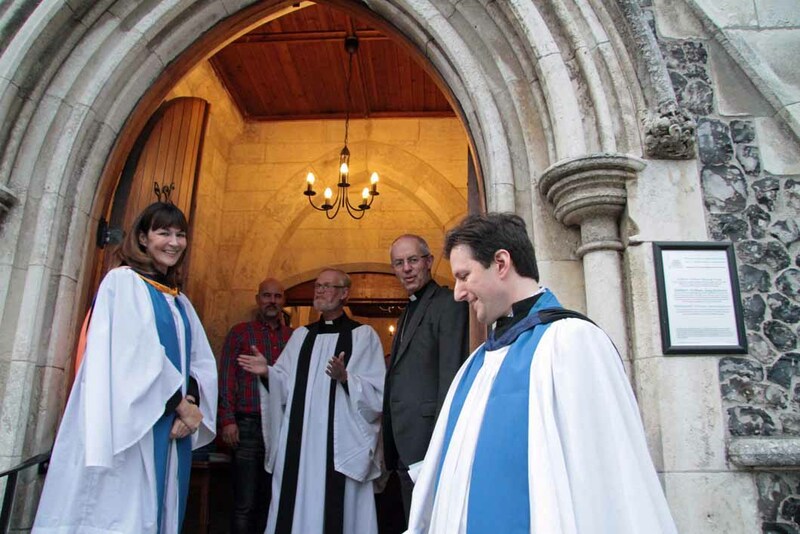 (aslo on the church of England website).